Real estate broker, soldier, civil servant. Born at Stratford, Ontario on 1 April 1876, he joined the local militia as a youth in Ontario. He came to Winnipeg in 1907 and became involved in the insurance and real estate business. At the outbreak of the First World War, he took command of the 11th Battalion and later was Chief of Staff of the 4th Brigade in England. He later served with the general staff of the British Army. He was awarded the Distinguished Service Order, twice mentioned in despatches, and received the Croix de Guerre. He returned to Winnipeg in 1919 and organized the 10th Canadian Machine Gun Brigade. 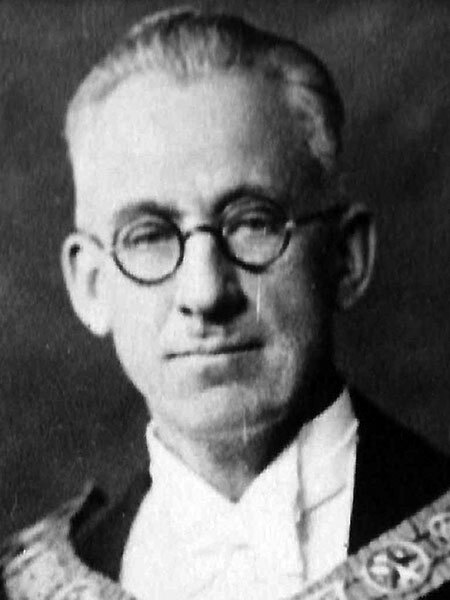 In 1938, he was appointed Governor of the Headingley Gaol. On 31 July 1901, he was married to Elsie Gordon Fisher (1882-1968) at Perth, Ontario. They had three children: Frances M. Burritt (1906-?, wife of Guy S. N. Gostling), James Fisher Burritt (1909-1979), and David Royal Burritt (1913-1976). He was a Grand Master of the Grand Lodge of Manitoba (1935), Grand Secretary-Treasurer and Grand Exalted Ruler of the Benevolent Protective Order of Elks, and President of the Gyro Club of Winnipeg (1923-1924). He was a Progressive candidate for the Winnipeg constituency in the 1927 provincial general election. He died at Winnipeg on 13 October 1962. “Burritt succeeds Downie,” Winnipeg Free Press, 20 April 1938. Obituary, Winnipeg Free Press, 16 October 1962. Obituary [E. G. F. Burritt], Winnipeg Free Press, 2 October 1968. Obituary [Guy Standish Noakes Gostling], Winnipeg Free Press, 3 November 1982, page 56.